On June 24 at 7:30 p.m., Hawaiʻi Public Radio presents a double bill of talented local duos in its intimate Atherton Studio. 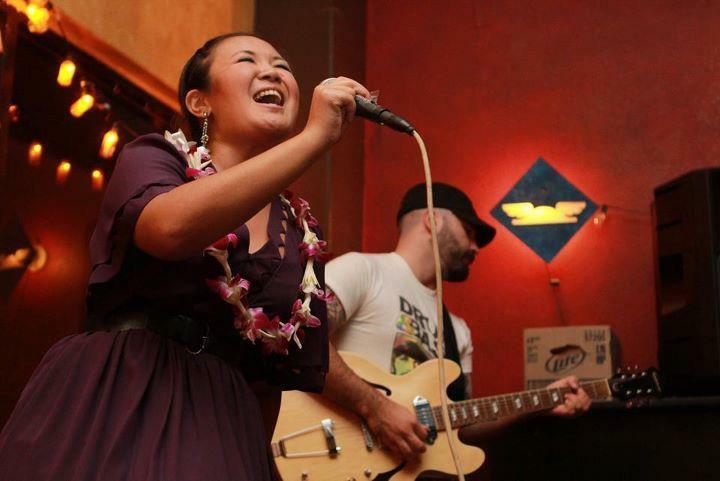 Opening the evening is acoustic soul duo Beauty and the Beard, featuring vocalist Stephanie Keiko Kong and guitarist/pianist Christopher Volk. The second set belongs to Foreseeable Futures, the folk duo of Phil Potter (guitar, vocals) and Anna Sachs (vocals, harmonica, melodica), with guest artists on electric guitar and cajón. Reservations for this pairing of talented local groups in the Atherton may be made online at www.hprtickets.org or by calling the station (955-8821) during regular business hours. Tickets are $30 general, $25 for HPR members, and $15 for students with ID; service fees are applied to online orders. The Atherton Studio is located at Hawaiʻi Public Radio, 738 Kāheka Street. Doors open a half hour before the performance. Advance ticket purchase strongly encouraged as the house is frequently sold out before the performance date. Beauty and the Beard is know for its unexpected fusion of Motown, jazz, and pop, with a repertoire that ranges form Marvin Gaye to Beyoncé. Foreseeable Futures' music spans the borders of Americana, singer-songwriter, and pop genres to deliver a sound both new and familiar. For their Atherton concert, the pair will be presenting a bigger sound than their original duo days. Fans and supporters who have followed the journey of their 2015 debut album, Stories, can expect to hear familiar original songs from the group, in addition to new twists on popular favorites.